After my two interviews and some other interactions with folks in Seoul, both local and foreign, I had to tip my hat to the entrepreneurs in this dynamic city. Anyone who starts a business takes on financial, emotional, and professional risks. But in Korea, these risks are magnified, especially since “success” usually means working for one of the large and safe Korean conglomerates. Someone who jumps and fails at a startup essentially destroys their personal credit and dims future career opportunities. People who prefer to march to their own drumbeat and don’t start their own business have limited options when working at a Chaebol (large Korean corporation). I experienced an example of how constrictive the culture could be. A friend from one of these sprawling conglomerates wanted to meet for drinks after work. I suggested 5:00 pm. He said there was no way he could make it out that early. He can’t hang it up before his boss leaves, which is usually not until 7:00 pm. So we settled on 8:00 pm just to be safe. But John and Kwansug travel a totally different course. They both managed to take the plunge, despite the risks, and created meaningful businesses. They have blended many Western business practices into their workplace and definitely break the mold of traditional Korean corporate culture. I was so impressed with their tips, I actually adopted practices from both of them into my current business. With a light networking schedule in Korea, I had time to step back and reflect on my interviews so far. I had already interviewed over fifteen entrepreneurs and collected over one hundred lessons. I made many mental notes and vowed to implement some of these inspiring and common-sense tips into my next company. I then started looking for patterns and themes from the interviews. Regardless of geography, everyone was passionate about building a great team and company culture. But it was clearly not easy, since many of the tips the interviewees shared were lessons learned the hard way. I had previously struggled with and lost sleep over those subjects too, which I’m sure contributed to my burnout. I started putting two and two together. My interviews highlighted that many entrepreneurs wrestle with people management and company culture even when their businesses are doing well financially. This resonated with my own experience. I reviewed my notes again and realized that almost everyone conducted annual surveys to understand their employee morale and engagement, just like Andy and I did at our companies. Their organizations missed the same thing mind did. People and the businesses change so much and so often during the year, how could anyone get an accurate read with an annual survey? There had to be a better way. This became my lightbulb moment! For leaders like me, there had to be a better way to get a pulse on how happy or burnt out people are before an unexpected two-weeks’ notice happens, or before issues become cancerous and affect co-workers or customers. Once a year is simply too infrequent a time interval to effectively audit culture. And if people and culture are a company’s top strategic assets, shouldn’t we monitor them often and improve them consistently? I don’t think I remember one interview when someone mentioned their accounting or finance as a top strategic advantage. Yet I’m pretty sure they monitor and review their financials constantly. This realization catapulted me into a frenzy of brainstorming and excitement. My favorite part of being an entrepreneur is seeing people grow to their full potential. My passion for people management combined with a desire to help others with the same challenge, like the entrepreneurs I interviewed, held interesting possibilities. I hadn’t felt that energized in a while. I had fun thinking through potential solutions. It seemed that my careercation was beginning to illuminate a possible next direction for me. 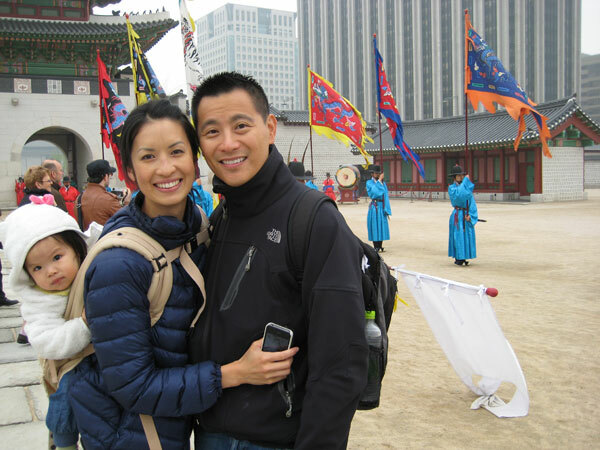 In spite of a language barrier and no friends or family, we had an amazing time in Seoul. 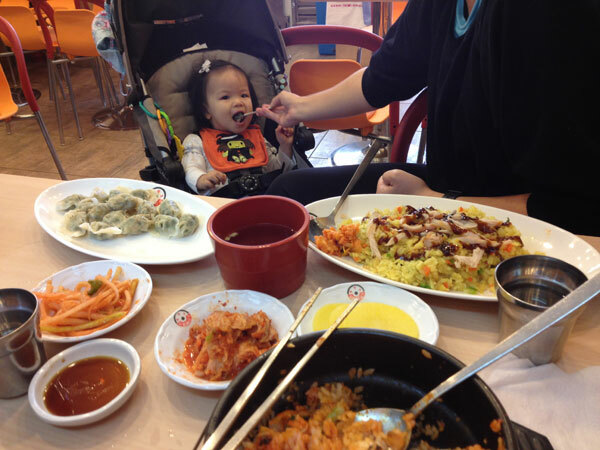 The food in the Korean capital is affordable, diverse, and delicious. Eating out was cheaper than cooking, so we sampled different restaurants every day. Not knowing the language became more of an opportunity than a hindrance. After a bit of miming and made-up sign language, we had great meals with friendly service. In almost no time, we felt welcomed and even part of the neighborhood, greeted by the corner shop people and the business owners that swept their tidy storefronts every morning. We also found a spacious and colorful coffee shop that had a little play area inside that became Keira’s personal playground. It was one of the only places we could let Keira could run around, so we became regulars. One thing that we didn’t expect was the lack of green space for Keira to run around. The tight sidewalks were also not super-conducive to wandering around with a toddler. In hindsight, I’m sure it shouldn’t have been a surprise that extremely dense cities in Asia lack an abundance of common parks and natural open space. But coming from Seattle to New Zealand to Australia, we had taken easy access to parks, trees, and water for granted. On the flip side, because the city didn’t seem that well-suited for babies, Keira was quite the novelty. Especially on the subway when Kayla, a Caucasian, had Keira strapped into the baby carrier. The Koreans, especially the older generation, loved playing with her. Even the younger folks were enthralled with her. When we went to visit the Royal Palace, Keira was surrounded by a group of schoolgirls and treated like a K-Pop star. Kayla was very happy in Seoul because on her time off from watching Keira she could easily get around using its awesome and affordable subway system. She also met up with a friend to tour the city and was becoming as adaptable as Keira. Kayla had an open mind and enjoyed trying spicy, red chili-drenched dishes with us. Alice also loved Seoul. It was a shopper’s paradise for her. It’s one of the few times I’ve seen her overwhelmed by too many great stores. Plus she loved the food, cleanliness, and convenience. We also had ample time to roam around as a couple since I only had two interviews. In fact, the question we get asked the most about our careercation is, “What was your favorite place?” We always answer in unison, “Seoul!” And to think we almost missed out on this great experience. Alice was right when she insisted we come even though I had been anxious and leaning towards writing off Korea. I Can’t Feel My Face! Not everything went smoothly. After arriving in Seoul, I was happy to see my Australian illness in the rearview mirror and grateful for a clean bill of health. Then one day after I woke up, I complained to Alice about a dull pain behind my left ear. She suggested it was because I didn’t sleep well on the new pillow. I thought, OK, that makes sense. The next day, I complained that my left eye looked droopy. Alice said it’s probably because the chlorine level of the pool was different in Seoul (I had taken Keira swimming the previous day). I thought, OK, that makes sense. The following morning, I woke up and after brushing my teeth, began gargling water. Except I could not close my mouth and water was spewing out of it. I looked in the mirror, and it seemed like a reflection in one of those funny carnival mirrors that distort the image. Half of my face looked like the Joker in Batman. I immediately ran to Alice and tried smiling. For some reason, she must’ve thought I was joking and burst out laughing at me! I found no humor in it at all and still give her a hard time about it to this day. It was really a scary moment. We were in a foreign country where we couldn’t speak the language, didn’t know where to go for health care, and half of my face was paralyzed like I was ready for Halloween. Alice immediately called our brother-in-law, who is an emergency room doctor in L.A., to see if he could provide guidance. He had known about my health scare in Australia, and after a battery of questions, he was pretty sure I was suffering from Bell’s Palsy. Of course, the word “palsy” didn’t exactly calm me down, but he told us the questions we needed to ask a doctor in Seoul to confirm the diagnosis. He also reassured us that in most cases, the paralysis subsides naturally over time. After searching online, we rushed to Seoul National University Hospital. I was immediately hooked up to electrodes as they shocked different areas of my face to determine my level of paralysis (yes, getting shocked on the eyelid was the worst). They confirmed that I did have Bell’s Palsy, which may have been an opportune infection after my immune system was weakened by my illness in Australia. A bright spot to this latest health setback was my amazing experience being medically treated in Seoul. The facilities and equipment all looked new, and the staff was professional. They even provided me with a translator. I received medication and orders to just wait it out. All in all, my visit only cost about $50! That was also a pleasant surprise. I learned to drink water (and Korean beer) by tilting my head to one side. I also took my medication on time and tried to get as much rest as possible. Once again, I realized that I could not take health for granted. I felt even more grateful that we took the careercation and blazed those memories while we did. It’s easier to bounce back now than it will be down the road, I think. It did make me wonder, though—had I taken better care of my sickness in Australia, rested more, or treated the pneumonia sooner, might it not have gotten so bad? I know most issues get better when tackled head on—problems at home, with health, and in business. Sure, time heals wounds. But could I have avoided this latest illness if I was more diligent sooner? Of course, this health scare would also play into the planning of our next stops on our careercation. Finally, I did slow down which afforded me the time to review my past interviews and see the pattern that led to my lightbulb moment. So I chose to think positively, that what happened in Seoul was a blessing in disguise. And it still is our favorite destination during our journey.